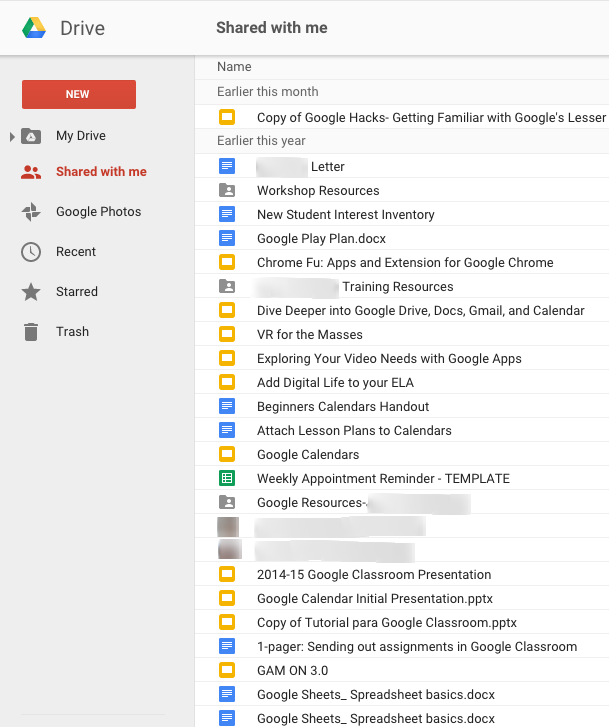 If you're like most Google Drive users, you're Shared with me listing seems to go on for eternity. This can be quite overwhelming to look through and downright frustrating to find anything. I'm sure most of you are aware that you can search Drive by title, but few of us actually remember or even know the title of the file created by someone else. We are much more likely to remember who shared a file with us rather than the title, so I'll share one simple tip that will hopefully make it easier and faster to find what you're looking for in Drive. 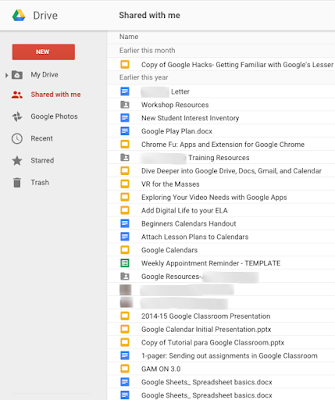 From the search box anywhere in Google Drive, type owner: Google Drive account name (i.e.- owner: sconway) and all items shared by that user will display. This drastically reduces the number of items displayed and allows you to focus just on the files shared with you via that one individual.